The post New Year’s Resolutions (Promises) to Keep for Caregivers appeared first on San Diego IHSS Public Authority. The post Preparing for Mother Nature – Emergency preparedness appeared first on San Diego IHSS Public Authority. The post Providers: Check your mail! appeared first on San Diego IHSS Public Authority. The post Hepatitis A Can Be Prevented with a Vaccine appeared first on San Diego IHSS Public Authority. The post Confidentiality Reminder appeared first on San Diego IHSS Public Authority. San Diego county IHSS providers may now submit their timesheets electronically! 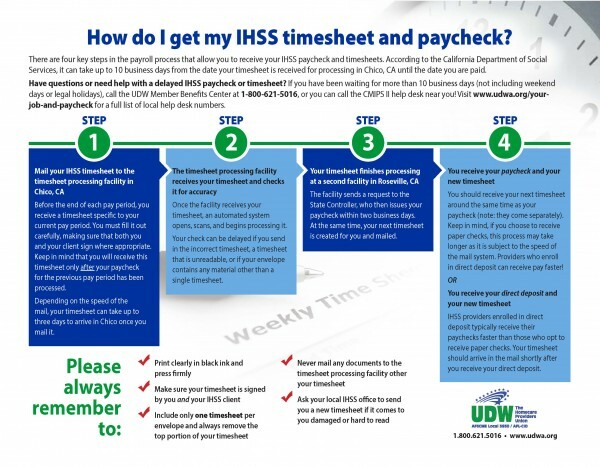 The post San Diego county IHSS providers may now submit their timesheets electronically! appeared first on San Diego IHSS Public Authority. The post UDW caregivers endorse Gavin Newsom for California Governor appeared first on UDW – The Homecare Providers Union - AFSCME Local 3930 / AFL-CIO. The post Caregiver Recognition Event – November 28 – 10 am to 3 pm appeared first on San Diego IHSS Public Authority. The post Annual C4A Conference appeared first on San Diego IHSS Public Authority. Happy New Year! We here at the Public Authority wish you all a happy, safe, healthy and prosperous 2018! We’re looking forward to lots of new things in the coming year, including paid sick leave for IHSS providers, beginning July 2018. Please check this space monthly for updates on current happenings at the PA. The post Happy New Year! appeared first on San Diego IHSS Public Authority. The post Protecting IHSS and our loved ones in 2018 appeared first on UDW – The Homecare Providers Union - AFSCME Local 3930 / AFL-CIO. Quickly access forms to establish or remove a representative payee, to contest the fact or collection of an overpayment, and to set up or change direct deposit. The post Tax season is near! appeared first on San Diego IHSS Public Authority.